The last time I squished myself into a swimming suit, the White House was inhabited by a Bush, and I'm not specifying which one. I believe this decision is for the benefit of all American citizens. However, if my level of maturity ever develops to match my chronological age, I hope I will be a little less civically responsible. Olga Taylor is a 62-year-old Russian grandmother living in London. She was noticed during a shopping trip and asked to model for a Europe-wide clothing campaign. Irene Carney is a 90-year-old great-grandmother living in New South Wales. She went shopping for a cruise and originally purchased a kaftan. 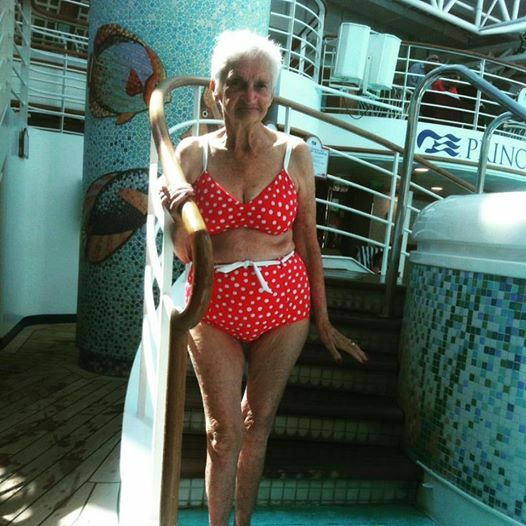 At the insistence of her friends and facility caregivers she came back a week later to buy a red polka dot bikini. 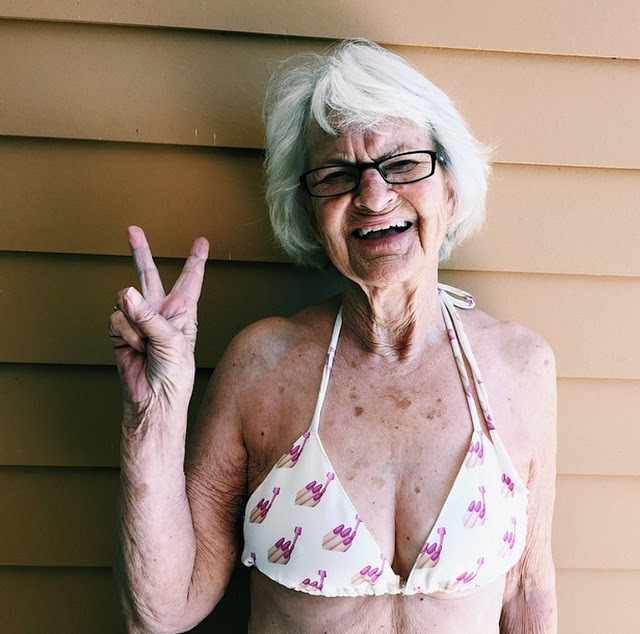 Helen Ruth Elam Van Winkle aka Baddie Winkle is an 88-year-old great-grandmother living in Tennessee.